The paper scale is an accurate device for the determination of the basicsweight (in relation to a square meter of the material). 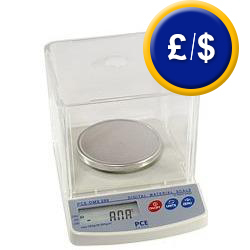 This is the fastest, the easiest and the most convenient way to determine basis paper weight. The scale displays the basic weight of paper, board, fabrics, etc. directly in g/m². The paper and fabric industries also perform quality control similar testing by weighing 10 x 10 cm probe (or round probe with 100 cm²) of paper or fabric. Two models of circular probe cutters are available (option). This type of scale is mainly used in paper production, paper laboratories, by textile production companies, material importing companies, etc. and it's perfect for sales departments. 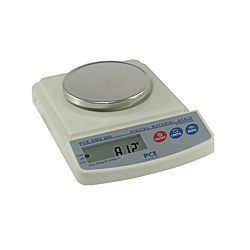 This link shows an overview of the available scales and balances which will meet your requirements. Mechanical sample cutter to prepare samples of paper, carpet, fabric to determine their weight. with max. 3 mm thickness.